On March 25, 2011, the football headlines here were dominated by a Giovanni Trapattoni press conference in Dublin ahead of Ireland's Euro 2012 qualifier with Macedonia. James McCarthy's Irish debut as a last-minute sub was imminent. The scoreless draw between Derry City and Shamrock Rovers at the Brandywell was miles down the news agenda; the league gets lost on the weekends where they overlap with international breaks. Stephen Kenny was in the home dugout that night. Michael O'Neill was managing the away side. Future Ireland international James McClean was a sub for Derry, while recent arrival on that scene, Enda Stevens, featured for Rovers. There are other League of Ireland matches over the past decade or so that can be picked out to draw a link between domestic activity and the grander stage that captures the attention of a wider audience. Yet the reference points are always retrospective. The league fraternity are proud of the players to graduate to bigger and better things but, while a connection may linger, the reality is that these individuals are leaving the SSE Airtricity League in the rear-view mirror. O'Neill has been successful with Northern Ireland, but he hasn't come back to pick eligible players operating here - Martin O'Neill showed more interest in Dundalk's Michael Duffy and he has now transferred allegiance. He's probably the forgotten loser of the past week. Still, the knock-on effect of Kenny's appointment is that from 2020 onwards, the stand-out players in the league here will know that the national team manager will not be suspicious of their suitability for a call-up because of where they play. Kenny has been vocal about the over-reliance on English validation for Irish players; he has railed against it. And while the short-term U-21 brief will give the ex-Dundalk boss the chance to work closely with young talent at clubs across the water as preparation for his big promotion, it would be a surprise if he abandoned his firm beliefs. There will be no accusations of tokenism when he pops along to watch a game. Players will have reason to believe that they are legitimate contenders. Patrick McEleney was Kenny's case study while he was Dundalk boss. The Dubliner listed a raft of home-based U-21 players on Monday. Noel King was sceptical on that score and history was not kind to some of his decisions. Seán Maguire was on the bench behind players who won't be sighted at senior level. It doesn't mean they are going to be good enough, but it may also prevent individuals from thinking they need to accept the first Championship or even League One contract that comes their way rather than waiting for the right one. Now this is the kind of positive talk which fuels the belief that the FAI's push for Kenny was influenced by the desire to appease a community that is strongly critical of the Abbotstown hierarchy's attitude towards the "problem child". Appointing a man steeped in the League of Ireland does not tick that box. It has to be credibly viewed as the start of something. And it requires investment; and not just obvious stuff like prize funds and marketing. The Scandinavians countries with summer seasons get their best local players together over the winter under the international manager and even arrange the odd friendly game. With Kenny in touch with the local scene, that's an option worth exploring. 'B' internationals are another avenue for that. 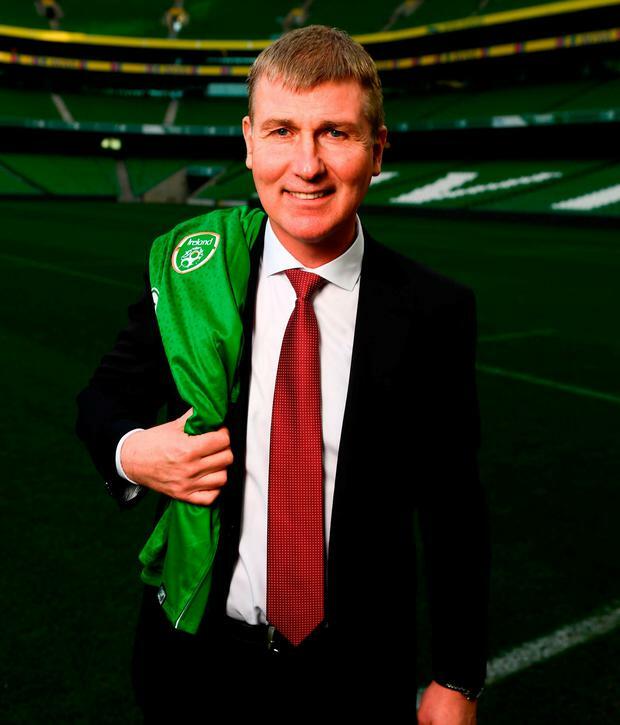 It's hard to imagine a Trapattoni or Martin O'Neill in that type of environment, but Kenny would thrive in it. Rightly or wrongly, his performance when he takes over from McCarthy will become a type of referendum on the league. Should he flop, the logic of looking there again will be questioned. Go the other way and it might open closed minds. The ignorance is borne out of a lifetime thinking about the league here in a particular way and it's hard to alter that mindset when so much dysfunction lingers. But it has to change with Irish football no longer able to rely on the cut-throat English market for player production. Without a stronger League of Ireland, there will not be a strong international team, and now is the time to develop a lasting link between the two. Kenny should not be cast as the solution to the problem. It's only the first step towards solving it.